Log in to ZipBooks and click on More at the top of the screen. 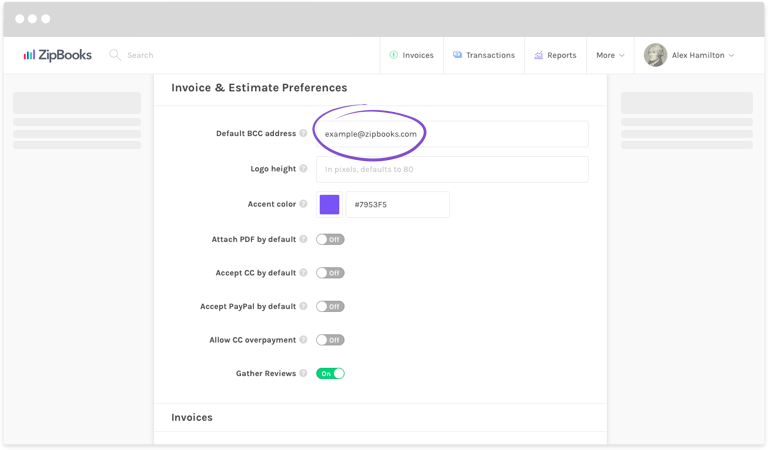 Enter the email you’d like your invoices and estimates to go to in the Default BCC address field. Scroll down to the bottom and click the purple Save button. That’s it! Now when you send invoices or estimates to customers, they’ll also be sent to the email address you entered.